If you read my Nutella cupcakes recipe for National Cupcake Week you will know I try and use up ingredients in and around the house. Since I had a few lemons left over from lemon tea I decided to make a favourite flavour of mine, Lemon Drizzle, all topped off with a gorgeous and extra light (hooray!) frosting. I really have loved this frosting and dare I say I actually prefer it to butter cream. It’s a great alternative if you find butter cream just a little heavy and sickly. So I think I may carry on topping my cakes and cupcakes off with this frosting in the future. 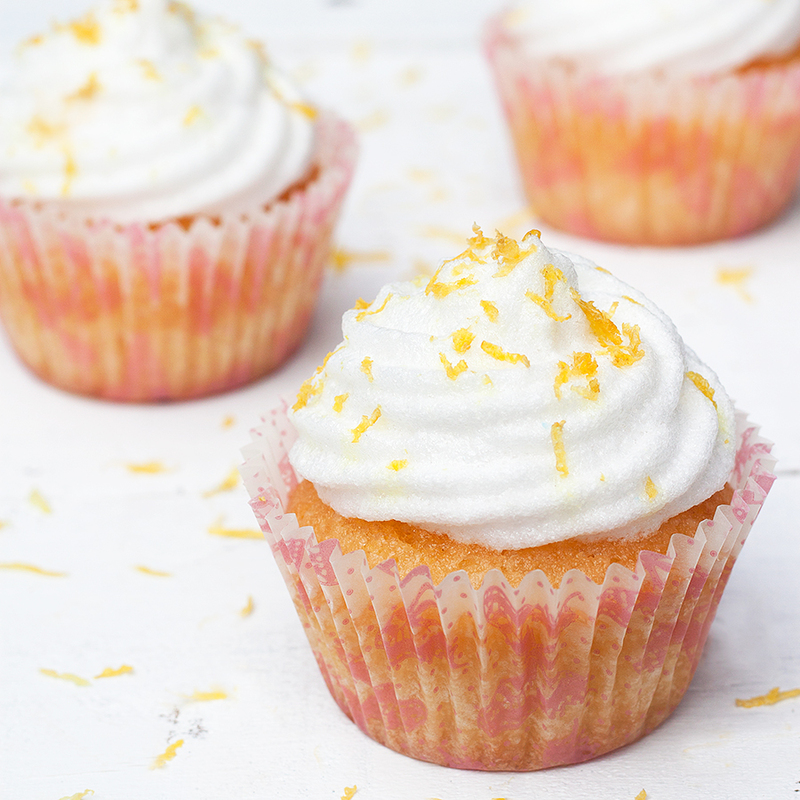 This Lemon Cupcakes Recipe with Extra Light Frosting makes very moist and sweet little cakes that everyone will enjoy. I hope you enjoy them just as much as I did :). Preheat the oven to 180C and line a bun tin with 6 cupcake cases. Add one egg at a time with a little flour and mix. Add the rest of the flour and zest of the lemon and mix. Using a ice cream scoop, scoop equal amounts of mixture in to the cupcake cases. Bake for around 10 minutes. Once baked leave to cool. 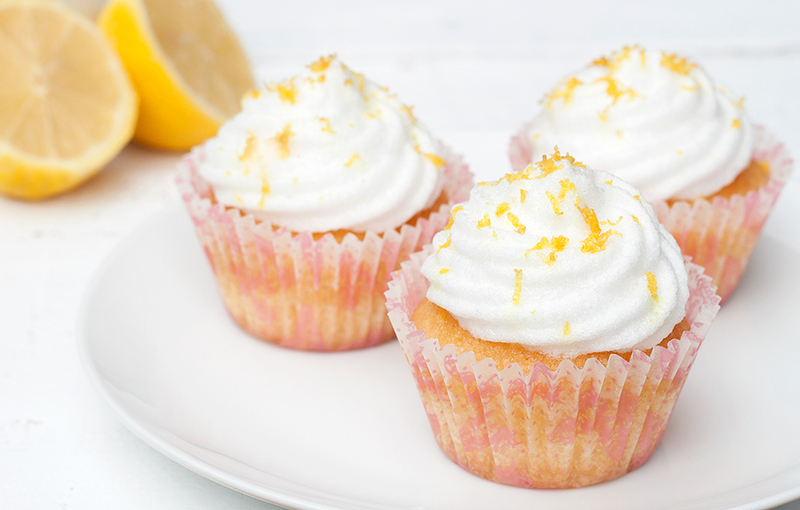 To make the drizzle simply mix together the lemon juice and sugar. Prick the cooled cupcakes with a fork and carefully pour over equal amounts of drizzle. The cakes should absorb the drizzle making them super moist. To make the extra light frosting whip the egg whites with an electric whisk until they turn in to a very white, thick mixture that peaks up. Add the sugar and carefully fold in. Simply pipe the lovely frosting on to the cakes and sprinkle on some lemon zest for decoration. Yum!